Anyone who’s ever asked me for tips on how to shave has always heard me suggest the use of a pre-shave oil. So it’s only right that I try the best I can to review as many as possible to facilitate your shopping experience. Enter the newly designed Village Barber – Shave oil mixed with an amazing number of essential oils: Sweet Almond, Lavender, Juniper, Patchouli…the list goes on! What I find so great about this oil is that even with all of these natural ingredients, it still maintains the perfect balance of “not too thick” and “not to watery”, not to mention a nice fragrance. 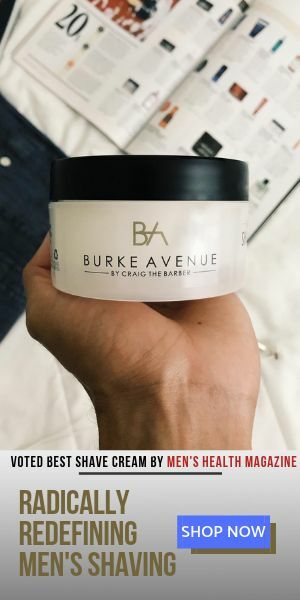 Combined with your favorite shave cream, your shave should be that much more comfortable! And for a limited time, TMR readers can enjoy 15% off of Village Barber products by using the code ‘TMR3″ at checkout. Enjoy! Appreciate your great review Craig. It always means more to me when fellow pro’s like yourself rate my products and, as a thank you to all your wonderful readers, I have extended the exclusive ‘TMR3’ 15% discount code! This stuff is easily the most protective and skin-friendly product I’ve used in over 25 years of wet shaving, and I’ve used countless high-end brands from around the world to find the best solution for my sensitive skin and coarse beard. I’d give it 6 stars if possible. Thanks again to Iain Kane and Craig for making this product a fantastic value!